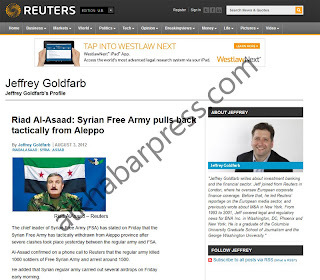 Syria: Is Reuters A Credible News Agency? 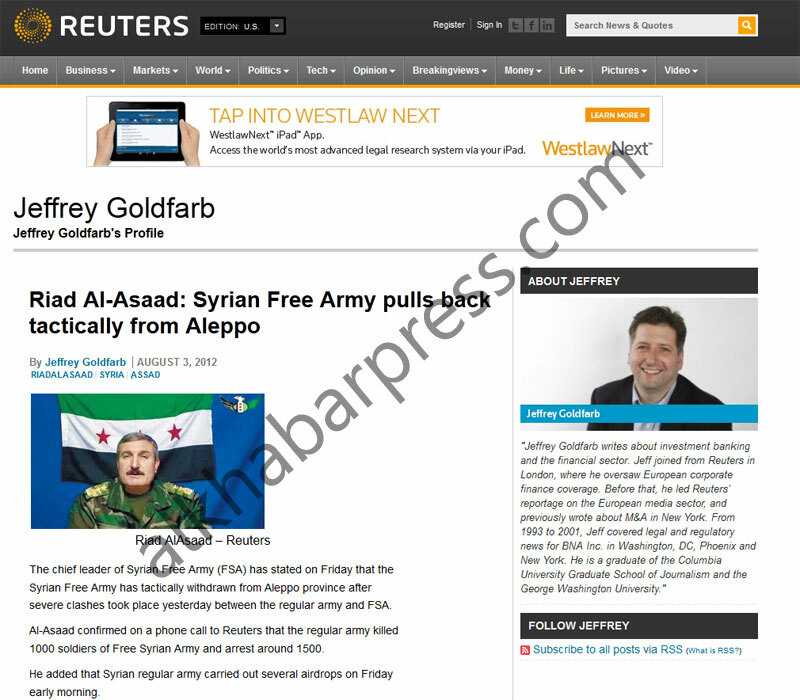 Something funny happened today that is unthinkable in the news industry, Reuters conducts an interview with the so called head of the Turkey sponsored FSA terrorists Riad al Asaad who declared his troops had to withdraw from Aleppo after inflicting heavy losses on their sides: 1,000 killed and 1,500 arrested terrorists by the Syrian Army, then he states that their FSA terrorists will withdraw from all Syrian cities because they now believe there's a conspiracy between the Syrian government and the regimes of Qatar and Saudi to get rid of his terrorist organization..!! And what about this false-flag file being prepared by NATO for about 2 months now in order to blame the Syrian state for using chemical weapons on own citizens? It's only left to the Sheeple of the west to swallow a false-flag time and time again in ultra denial and just because it's easier to doubt any info instead of working own mind and guess: if the Syrian state uses chemical weapons on own people whom compose the same state, who would shoot the chemicals on his own family from the army? And to what benefit? Especially when the Syrian army is winning on the ground and the infiltrators with all the support they get from all western powers and their stooges in the region openly?! Doesn't make sense, correct? Then Reuters after a while withdraws the statement and claims their site was hacked!! 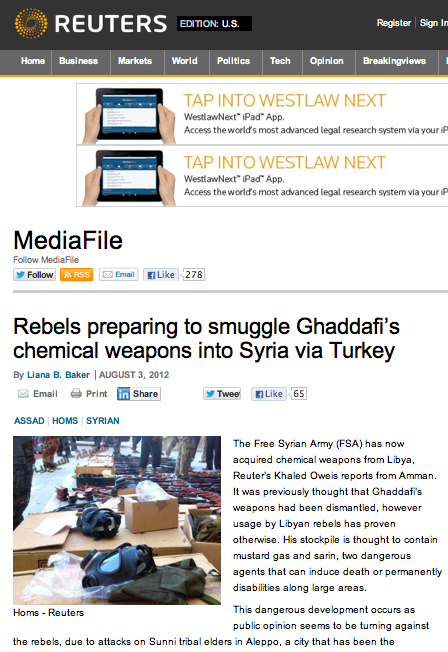 Which raised more questions than answers: Like how secure are their sites and how credible are their news usually? Should we take whatever such agencies report for granted or wait few hours to monitor their sites if they issue a statement denying their earlier news claiming it was false? If we notice their apology statement at all?! Usually it's the fresh news that makes headlines and get the maximum impact while apologizing for any mistakes or false news barely gets any attention. But what if the 'denying statement' is the statement posted by the hackers from the FSA to keep their fighters on the ground after their leader confessed to the sad reality he put them through?!!! Let's remember that we complained earlier many times from Reuters manipulating and fabricating the news about Syria especially after the Syrian state TV caught their Jordanian reporter Khaled Oweis, head of Syrian branch of Reuters Thompson, red-handed manipulating a video report from Daraa's National Hospital at the very first days of the riots there, this video report was immediately recycled by all news agencies about a wounded soldier faintly telling how he was shot at from the side of the protesters and the Reuters reporter was putting words in his mouth like: You are saying your officer shot at you because you refused to shoot at the peaceful protesters?! Again the wounded soldier would faintly but grasp his powers to repeat: No sir, we were shot at from the protesters side and we're unarmed, the Reuters Oweis guy repeats: But why would your officer give such an order then shoot his own soldiers? Was he from your same army unit or security or was he from Shabeeha?!! Of course when the Syrian state TV whom were there and caught this entire interview on their own camera with clear voice unlike how Reuters reporter made the soldier's voice even fainter, the authorities arrested the Reuters team then deported them after a couple of days to Jordan and immediately issued an order to ban all foreign media from the country to 'preserve the truth from being twisted'..
ABC Australia learned the lesson the hard way, will you get it the easy way? Ever? 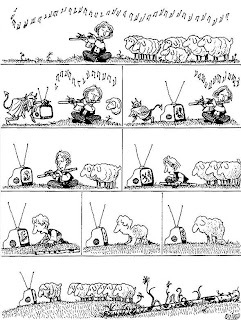 "They fool you, they continue to fool you and they enjoy fooling you, not because they're smart, it's because you're foolable"
The whole purpose of this is to give you the false believe that the western MSM should be the only source of news. 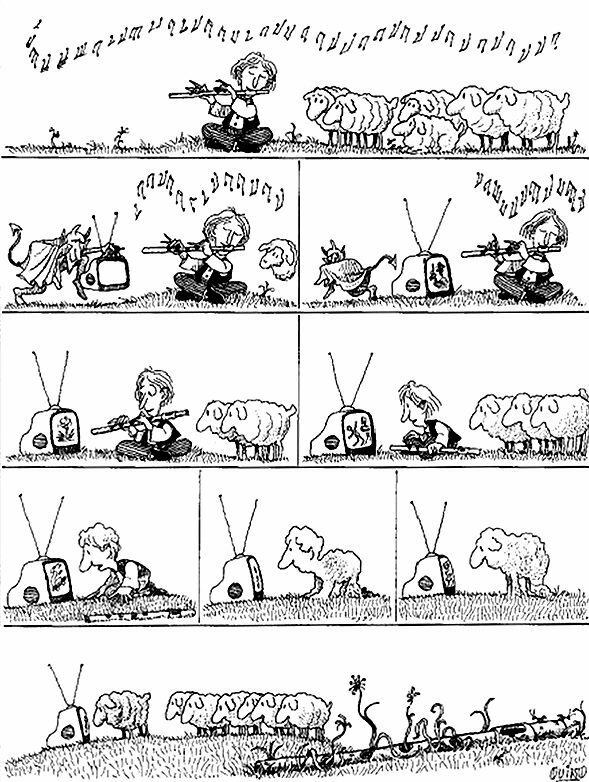 They are all the same as Reuters and much worse because their propaganda is very subtle and reached millions of sheep.